In keeping with the concept of the day, I thought "who better to ask to write about wife appreciation than my own beloved husband?" He tentatively accepted the challenge and took his life in his hands to write about this very sensitive topic! I hope you enjoy reading his thoughts as much as I did - it was a pretty honest account - not sugar coated (unfortunately) but from the heart and that's what really counts isn't it? I am nervous about writing this; after all, when opining about wives on my wife’s own forum, there’s great potential for things to go awry. 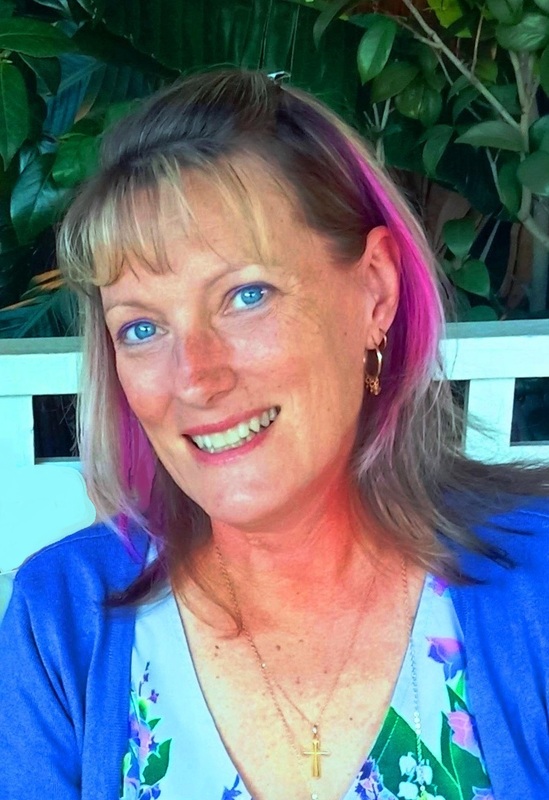 Initially, I thought of writing on what Leanne means to me, but I realised that would place the focus upon me and my thoughts and feelings, rather than the person central to this post. 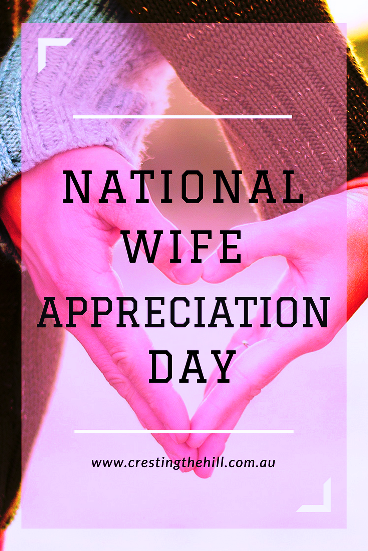 So, here on National Wife Appreciation Day, what is it about this person specifically and – by extrapolation – about wives generally, which ought to be honoured and appreciated? For instance, Leanne is canny with money: she is frugal, invests wisely, and is astute with purchases. She is light and bubbly: she has a song for every occasion, she can write in a greeting card at a moment’s notice, and is not given to gravitas. She is risk averse: she is cautious about new things, is attuned to potential dangers, and prefers life ordered and sensible. It seems every morning Leanne stands under a shower of cold reality; she isn’t swayed by ambitious projections which are largely based upon equal measures of unfounded assumptions and pixie dust. She understands the way of the world and how the game is played. She looks to the future and has a plan to get there. Even now I ask her, “How do you spell…. ?” when I’m stuck. She has opinions I always value, even if I don’t agree with them. Her general knowledge on things ranging from garden plants to human anatomy is often surprising. 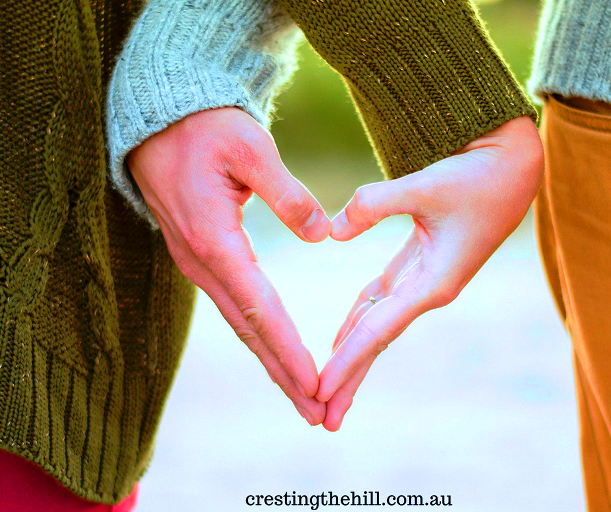 Much of the reason for appreciating my wife is that we see things differently; we have different tastes, approaches, habits and outlooks, and that does create friction – but also interest. A couple of months back I went to a professional development on A Neuropsychotherapy Approach to Couples and one of the side comments made by the presenter, Peter Janetzki, (speaking from a Christian worldview) was that marriage is designed to make up holy, not happy. That is, we seem attracted to someone who has a special ability to needle us in our raw spots, which presents a wonderful in-house opportunity for self-reflection and refinement. I appreciate Leanne not in spite of, but because of our differences. As an opposite in so many ways, she compliments and completes this union. So there you have it - my husband's first guest blog post - and I am so pleased he stepped out of his comfort zone and wrote something for me - that's true love as far as I'm concerned! 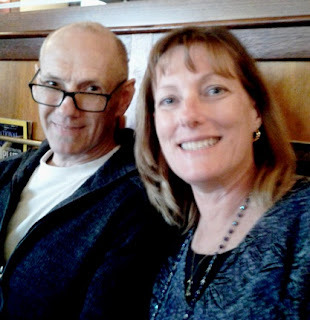 This is Ross - my lovely husband, and the author of this post. He is a Family Counsellor and owns Wellspring Counselling and Family Therapy. He's also a keen runner, surfer, kayaker, rock climber, and skateboarder (everything I'm not!) When he's not out being active he's home keeping me company and herding our two cats. He definitely took his life in his hands Donna - but I think he did a great job and now I'm trying to persuade him to do it again - not having much luck so far though! Well said Ross. You might get asked to do more guest blogs in the future. What a beautifully expressed post! You guys sound very blessed to have each other, awwww. Loved it Leanne and what a great way to spend National Wife Appreciation Day. He's a keeper! Awww. I am so impressed, first that he accepted the challenge and secondly he didn't opt out with just a few lines of platitude! How can you not love a man who herds his cats??? He never does a half-a***ed job of anything Haralee so I knew he'd rise to the occasion - and he is an excellent cat herder too! Mary a word to add. Just a big big smile. OK :-) :-) now I have to add because of auto correct. That was NARY. Your husband did a wonderful job with this post and it was a lovely tribute to you. The topic gave me a smile because just yesterday when my husband and I were headed to take photos of my next "A Woman I Know" subject, he asked when I'd planned to do a feature on my photographer (which is him). I was totally taken aback by the question because I hadn't thought that he would like the "exposure". Now I need to find an appropriate national day for the post. Thanks Shirley - hopefully he didn't share anything that surprised anyone too much! What a great post Ross! And thanks for giving us a peak at Leanne from your perspective. He definitely stuck to the truth Jennifer - and I guess it's where our strengths are (in our differences). This is so beautiful. I agree with your sweet husband. I feel like David and I are a puzzle....half of the puzzle is me - half the puzzle pieces are David. When he goes out.......I go in. We compliment each other. We are not the same. However, our values are the same. I think that's the secret Ellen - you have to have the same foundations, then the little differences are complimentary rather than constantly causing conflict. That was a lovely read and I too am married to a complete opposite but it's what also keeps us together...LOL. Well-done to your husband for his words and to you for your sharing here. Thank you for linking up for #lifethisweek 36/52. Next week's prompt: Beach or Bush. Hi Denyse - there is definitely some truth in the "opposites attact" saying isn't there? 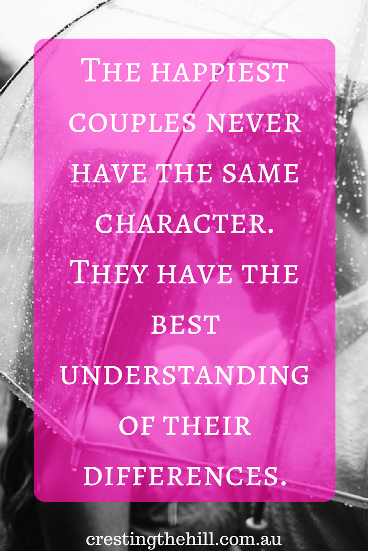 So many of us are quite different to our spouses and yet we are weathering the storms and doing a really good job of this marriage business. What a sweet thing to do. I love how beautifully, he focused on the unique things you bring to your marriage. Stay blessed, both of you. Thanks so much Corinne - I hope we have many, many more years to celebrate together - not sure there'll be many more blog posts from him though! Great article and one I want to share! Thanks so much for linking up! What a great idea and how lovely of your husband to write the post. The quote perfectly reflects his sentiment. I didn't even know this day was a thing!! I'll say it again, I LOVED THIS! I'm forwarding it to my husband to see if I can get him to write one of these for me (even though it's no longer Wife Appreciation Day, hahah! ).